Many of our sector colleagues may be finishing off their financial year commitments and easing into new work plans. Some of us are beginning our funding applications for the next financial term while hoping that whatever reserves we have will hold us through until the funding decisions are confirmed. Wherever you are in the spectrum I wish you luck and hope that you continue to make a positive contribution to our sector and beyond – kia kaha, kia maia, kia manawanui. The recent IFIP Pacific Regional Hui in Ōtaki was a space to invite funders and philanthropists to hear about community stories from an Indigenous Peoples perspective and the role of the funding sector. Funder attendance was modest although I’m sure the hui would have stimulated discussions around the value proposition that an Indigenous Peoples perspective brings towards increasing community wellbeing and how the mutual benefits for the funding sector can increase prosperity for people and the planet. However, given that only a small percent of funders currently support Indigenous Peoples initiatives worldwide there will need to be sustained and ongoing hui if we’re to see an increase in benefits. Our guest speaker Dr Dhananjayan (Danny) Sriskandarajah at the Parliamentary breakfast hosted by Hon Alfred Ngaro offered food for thought – how is citizen participation really progressing in an ever changing world? If many of the things that we experience on a national scale such as low voter turn out, sector competition for funding and a challenging charities regime are similar to our international counterparts then are we progressing at all? On a localised perspective, our friends in the multicultural and ethnic part of our sector have even more challenges – how can migrants traverse the rocky landscape of a Tirīti/Treaty based citizenship towards improving migrant integration outcomes? The answer – step by step and with support from those of us who are willing and able to lend a hand. …and now for the horizon, when we shift gear into Matariki next Hōngongoi/July…. We can’t say enough about the Sustainable Development Goals (SDGs) because it’s everywhere we look, it’s in the cars we drive, it’s in the coffee we drink, it’s in the laughter we hear in the playgrounds and in the cries we hear at night….it’s also in the ever increasing cime statistics we read everyday and in the waiting lines at the hospital. It’s more than just a set of 17 goals that New Zealand along with many other countries have committed to progressing…it’s actually about you and me. Whether it’s the goals on ending poverty and hunger, better health, gender equality, decent work, climate action, peace and justice, it’s all about making tomorrow’s yesterday a better place to be for the future. Hui E! along with some of our friends from the community, academic and business sectors are committed towards driving the SDGs to a destination that enables you and me to contribute towards a better tomorrow. One stop on the way will be organising the first SDG Summit in Aotearoa/New Zealand, which is sheduled for Wellington April 2018. In order to get there we need your comments on the key areas of the SDGs that matter the most to you. Up until April 2018 we’ll be asking you what matters most so that we can present an informed communty sector perspective on the SDGs. We have no doubt that progressing the SDGs is a huge undertaking, but like our multicultural friends if we take it step by step with a little support from those who are willing and able we’ll get there in the end…so, the next stop is the future! Hui E! has been to Palmerston North, Porirua, Christchurch, Dunedin, Nelson, Whangarei, Hasting and Mt Roskil Co-facilitating workshops across New Zealand, speaking to the youth from each region as we develop on a digital app that will assist and guide them to the services they need to help through the strengths and struggles in society. Nau mai haere mai, we welcome you all. We have had to postpone this event – Apologies for any inconvenience. We will advise a new date! Getting volunteers involved in your organisation takes care and attention. Involving volunteers in your organisation should take as much thought and planning as does sourcing the money and employing the staff. From strategic planning to developing your business plans, identifying the opportunities, writing up the roles and making the match – this thought-provoking session will take you through what Volunteering Auckland has learnt over the last twenty plus years in volunteer engagement. 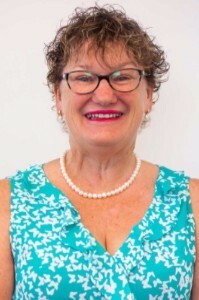 Cheryll has been with Volunteering Auckland since 1995. She has been in a leadership role at Volunteering Auckland since 1998. Cheryll has an extensive background in volunteer leadership and volunteer involving programme development, review and management. She has also been involved voluntarily in the community in various roles from programme delivery to governance over many years. 2) Marianne Elliott: Director of Strategy & Story, www.actionstation.org.nz ActionStation brings “a new kind of politics: one that’s all about us, taking action together, in small everyday ways as well as bigger ones – in order to hold decisionmakers accountable, protect the best of what makes Aotearoa New Zealand wonderful, and shape an even brighter future”. Marianne is getting their latest research out to as many people as possible “in the hope that it actually improves our collective messaging and impact this (election) year.” The research results give some clear ‘what works’ direction to our publicity in election year. The presentations from Dion Chamberlain of Charities Services and Justine Falconer of MBIE both referred us to new material on their departmental websites. Dion presented about the latest Charities Services survey of Public Trust and Confidence in Charities, which they are required by their legislation to encourage, and they have to produce a regular report. Justine presented an introduction to the Social Services Procurement work of Ministry of Business Innovation and Employment (MBIE), including the Guide to buying and managing social services which is aimed at people in government agencies who work on contracts with community sector organisations. The guide is public but is in beta testing – that is, feedback is welcome. On 1 June Hon Alfred Ngaro, Minister for the Community and Voluntary Sector announced the government is allocating an additional $6m over the next 4 years, to support communities. $1.5 million has been added to the Department of Internal Affairs baseline funding, with the additional funding set to continue after 2020/21. “We want to partner with communities to help them achieve their aspirations, build on their strengths, increase community engagement, enhance local leadership and establish sustainable and measurable plans for their futures,” says Mr Ngaro. “Communities are often very aware of the opportunities for change within their own backyards and those solutions that will have the greatest impact. $1 million per year of the new funding is allocated to the Community- Led Development Programme, and the Support for Volunteering fund is increasing from $500,000 to $1million per year. “We know that a strong and resilient community and voluntary sector contributes to a productive and competitive economy, and improved social outcomes for all New Zealanders, which is why we’ve amped up our investment in the sector” said Mr Ngaro. A new digital marketplace goes live from June 13, that aims to provide the not for profit sector with more specialist skills pro bono. HelpTank will connect skilled volunteers and community organisations, so that NFPs get the specialist help they want, when they need it. NFPs deliver vital services and need sufficient specialist help to maximise the positive changes your organisation makes. It knows community groups often need these skills pro-bono. The trust is planning to gradually upscale HelpTank from its go live date next week. It’s keen to hear from not for profits who want a specialist skill NOW as it will have a supply of skilled professionals looking for volunteer opportunities from mid-June. For example, Z Energy, our foundation partner who has supported the development of HelpTank, will have staff looking to fulfil their two-days’ volunteer leave entitlement. Visit helptank.nz, or contact team@helptank.nz with any questions or if you’ve got a project you’d like to fill now. Email team@helptank if you want to receive our newsletter, and follow us on Facebook, LinkedIn and twitter for updates. We’d love to hear from you as we’re here to help! Click here to read this free copy of Fundraising New Zealand magazine. Organisational Outcomes and Meaningful Measures, with Dr Jess Dart. Tuesday 20th June 2.00pm, online at your desk! On April 13, in a remarkable first, a cross-party debate in Parliament on climate change, introduced by Green MP Kennedy Graham for GLOBE-NZ, and concluded by Deputy Prime Minister Paula Bennett, who express her pleasure at the constructive nature of the debate. In fact, it was so positive she thought there might be the odd person out there tuning in and wondering what was going on! The inquiry gathered evidence at the end of 2016 and into 2017 from a range of stakeholders, including government and local government bodies, NGOs, academics, think tanks and private sector organisations. The UK has already fulfilled a key recommendation from the EAC of outlining the government’s approach to implementing the SDGs, which was published at the end of March. However, the cross-party committee has criticised the government for lack of highlevel leadership and ambition for the SDGs and has raised concerns about the government’s “marked reluctance to take this forward as a domestic agenda”. See the news item here. Theme: Our Planet. Our Struggles. Our Future. Anei te tono mō te CSM Coordination Committee Member Australasia. Hei te 16 Pīpiri kātia ai te tono nei, nā reira, tukuna whānui atu ki te motu. Below is the link to the Expression of Interest in the Civil Society Mechanism of the UN Committee on World Food Security. Please send nominations to Imogen Ebsworth. Please send this onto your interested contacts or even pop it into your facebook page. Report says charities should be free to engage in politics, minister suspends infamous audit program. The Liberal government in Canada is suspending the few remaining political activity audits of charities after an expert panel report recommended removing a political gag order imposed on them by the Conservatives five years ago. More than 75 civil society organisations in Australia have joined forces to advocate for a people-centred budget that serves the needs of ordinary Australians. There is widespread concern across civil society in Australia about the approach of their current government to all types of social services and social supports – for Aboriginals, for refugees, for people with disabilities, and for charities generally. This e-newsletter is produced by Hui E! Community Aotearoa. Pānuitia ki runga i te papa whiti. Whakaarohia te taiao i mua i te tānga mai i te īmera nei. Copyright © *|2015-2017|* *|HuiE!|*, All rights reserved.